This 100% Tempranillo originates from the Rioja Alta DOC (Zone 3) of Spain. 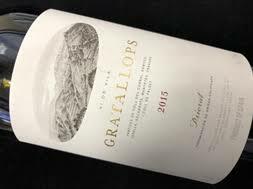 This estate grown wine comes from the town of Hormilla at an approximate elevation of 1,865 feet and 2,067 feet respectively. Fun fact: Cortijo means “cottage” or “shack” in reference to these types of wineries often make better wine than fancy chateau type wineries. Further, Don Sancho de Lodono is proud that they allocate all of their resources toward the grapes rather than a fancy tasting room, chateau, etc. This is a bang for your buck fantastic raspberry/spicy dark berry gem. You should get a case of this ,wine to have as a “go-to” party wine that everyone will enjoy. Oh it’s not a Cab or Pinot. Yeah it’s Tempranillo, the newest, most popular grape for the sophisticated man/gal. Best served with good friends and a burger off your family’s grill. This blend of Xarel-lo (20%), Macabeu (40%), and Parellada (40%) originates from the Penedés region of Spain. 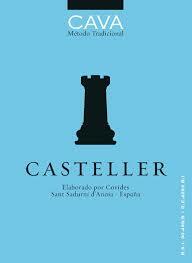 Couple fun facts: Castellar only makes wine with the best 40% of its grapes. The rest is sold to neighboring winemakers. Also, This wine is aged for 12 months on the lees; by law all cavas must be aged for 9 months on the lees. Case production of 10,000. 6,000 is allocated for the United States. Castellar consistently puts out a quality bang for your bug Cava that never disappoints. If you are looking for a crisp, green apple, slightly sweet, and bubbly wine, this is for you! If you were to put it in one word it would be, “refreshing.” This wine is best served at your next gathering of friends with appetizers of any sort. Are you familiar with the spicy, dry, dark fruit sensation known as Grenache Noir? This is what is great about French wine. 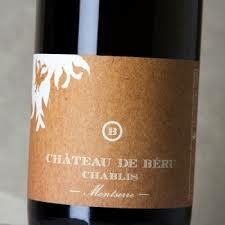 It is smooth, approachable, and fantastic in every way. This is a wine best served with BBQ and good friends! 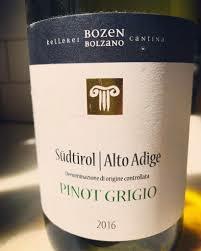 This 100% Pinot Grigio originates from the Trentino-Alto Adige DOC which is surrounded by the Tyrol mountains. You should be aware that this winery shares a border with Austria and with it, many of the winemaking traditions. The winemaker, Stephan Filippi, is dedicated to a traditional approach. Fermentation takes place in 100% stainless steel. This spectacular wine will make you forget about the snow outside. Yeah, we are coming up on the dead of winter. Whatever, close your eyes and try this refreshing, crisp, apple and pear joy of a wine. 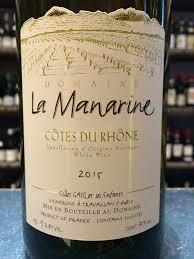 The acidity on this wine brings great structure to a very light wine. Best served with light fare or no food at all. Curl up with man’s best friend by the fire and sip your winter away! This organic red blend of Nebbiolo (80%), Vespolina (10%), and Croatina (10%) originates from the Bramaterra DOC Piedmont region of Italy. 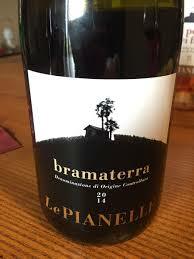 The grapes were sourced from both the Brusnengo and Le Pianelle vineyards. Several hailstorms caused the winemaker, Cristiano, to harvest early to preserve aromas and freshness. This wine is aged in oak tanks for 20 months. Case production of 302. This biodynamic estate blend of Garnacha (85%) and Carignan (13%) and White grapes (2%) originates from the Priorat DOC of Catalunya, Spain. Alvaro Palacios comes from a rich family history of winemaking. 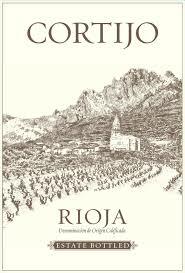 He is highly regarded as the top wine producer in Spain. So I hope you enjoy unbelievable wine. Oh, you do?! Yeah, this is a spicy dark fruit sensation with the perfect dryness. No, It’s not going to fit your standard suburban Cab Sauv profile. It requires you to extend yourself a bit. It is worth the exploration. Put your hands together for this splurge bottle. Best served with only your best friends and a really nice steak.